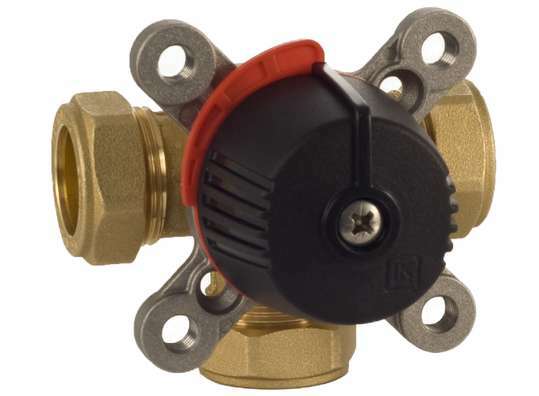 LK 840 ThermoMix® is a 3-way valve that can be used as a heating system mixing valve or a diverting valve. It is suitable for motorization. The LK 840 can have insulation. It can be mounted at any angle and is easily adapted for right or left hand mounting. There is an insulation jacket available for the LK840.